course. 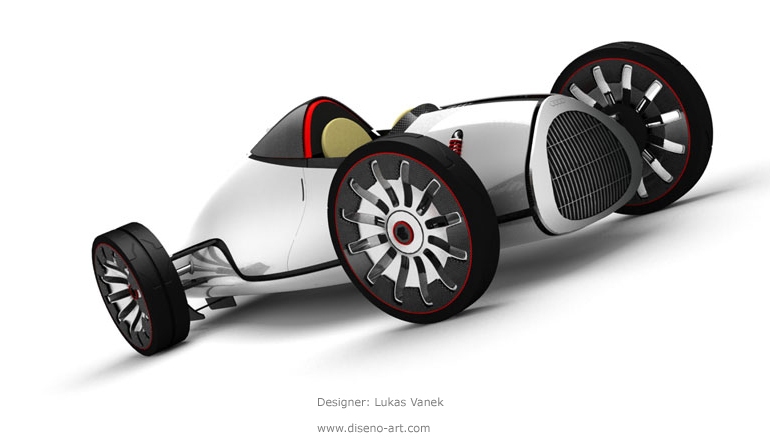 Prior to these studies Vanek had finished a masters course in industrial design at the TBU university in Zlin, where he was awarded a scholarship to study at IED. 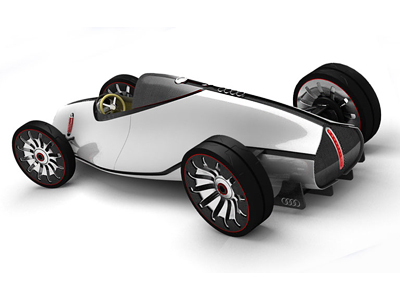 The 2008 Auto Union Type-D concept was inspired by the old Auto Union race cars from the 1930s. These cars, piloted by some of the best racing drivers in the world, were at the cutting edge of automotive technology. 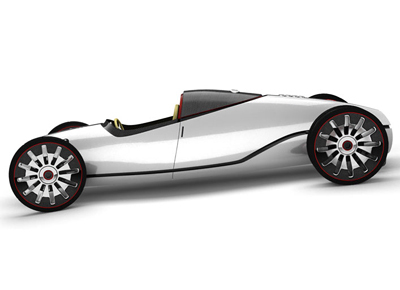 The supercharged engines developed nearly 550 horsepower, and could spin the rear wheels at over 100 mph. 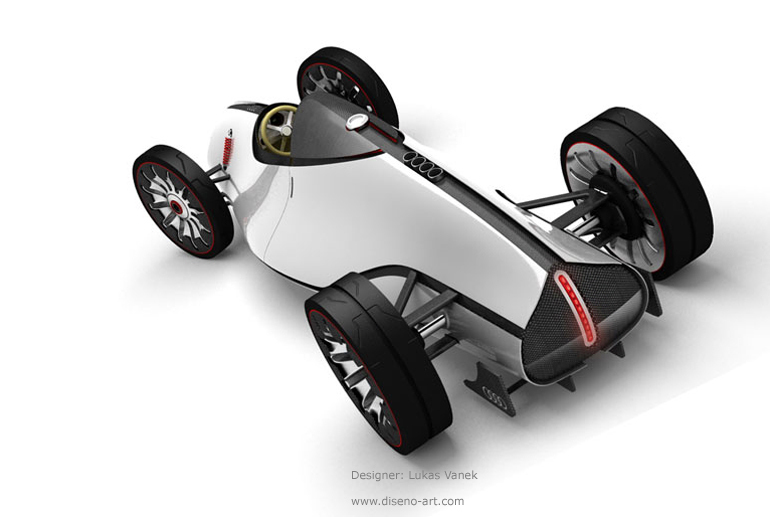 In the hands of drivers like Hans Stuck, Tazio Nuvolari, and Bernd Rosemeyer Auto Union cars won many Grand Prix races. 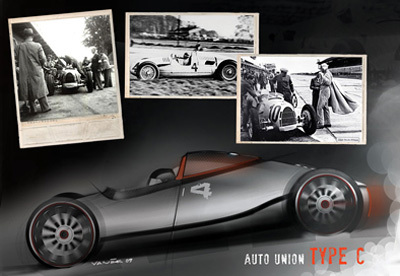 During World War II almost all the Auto Union race cars were destroyed. The survivors were either dismantled or taken to Russia for examination. Auto Union itself (which had been a conglomeration of four manufacturers Horch, Audi, DKW and Wanderer) struggled as a company after the war, and it was only in the 1960's that the Audi name was resurrected. Audi's revival also brought back the now famous four interlocking rings badge, which had originally been a trademark of Auto Union. 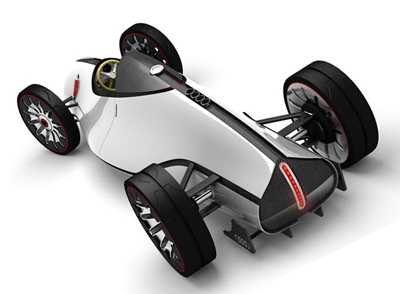 The body of the 2008 Auto Union (Audi) Type-D concept is constructed from two different materials. Carbon fibre composite provides the structural support and rigidity, while a metal skin gives the exterior an authentic, simple finish. Behind the single, central drivers seat is a 6.5 litre twelve-cylinder engine producing 650 horsepower (478 kW). 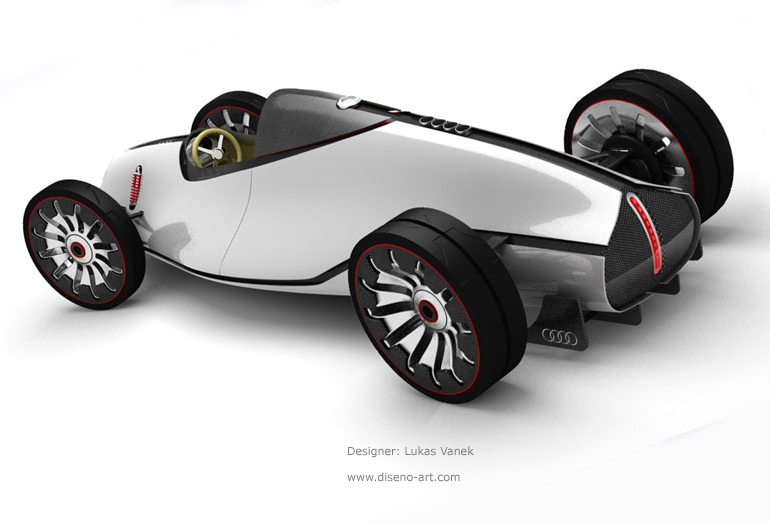 The proposed top speed for the Audi Type-D concept is 186 mph (300 km/h). 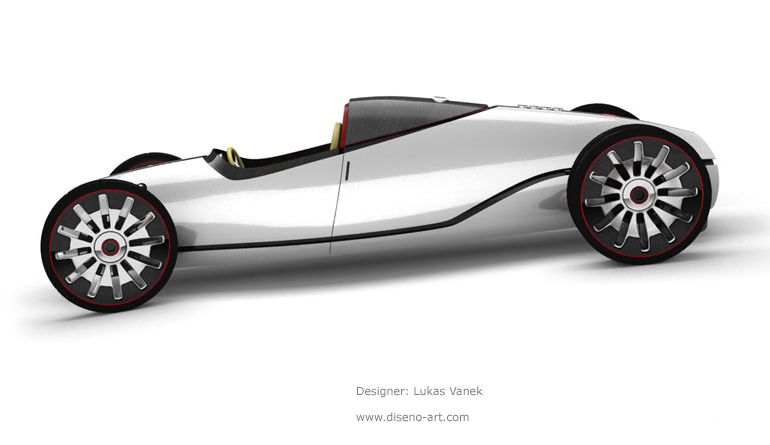 While the 2008 Type-D concept is influenced by a design which is nearly 70 years old, it manages to look sleek and contemporary at the same time. Styling elements like the central LED taillight strip, exposed carbon fibre centre spine, and barely visible carbon fibre rear spoiler tucked under the tail give the car a very modern feel. 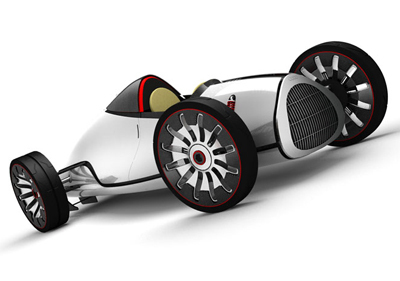 The large wheels have also been cleverly styled. The low profile tires with their unique tread pattern help to bring the Type-D into the 21st century.